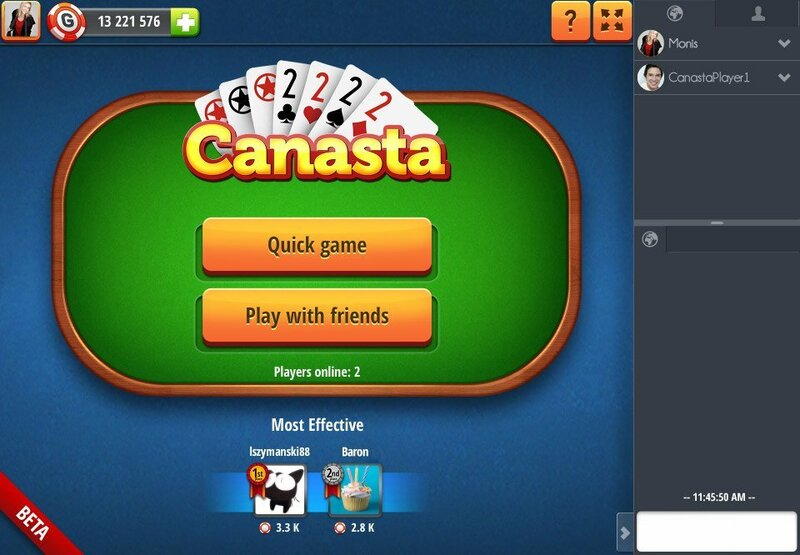 Play with others and complete canasta first! 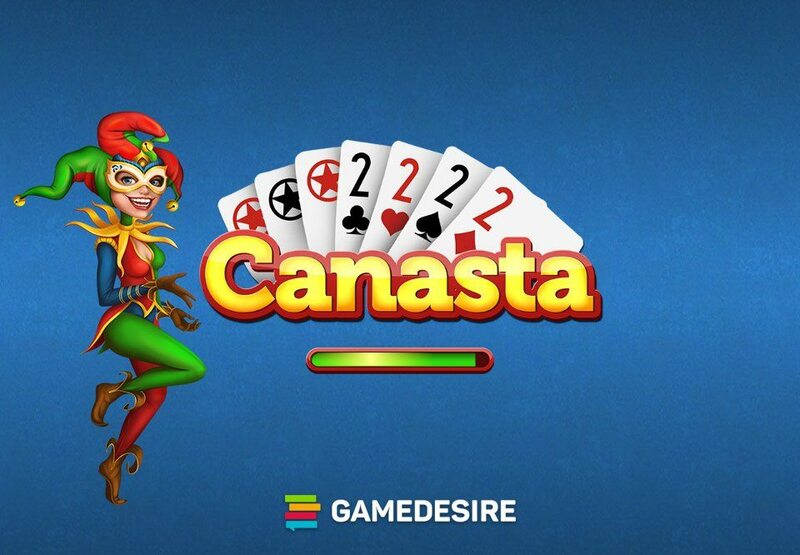 Canasta is a card game from Uruguay. In the 1950's, it spread to the United States and became one of the most popular card games in the world. 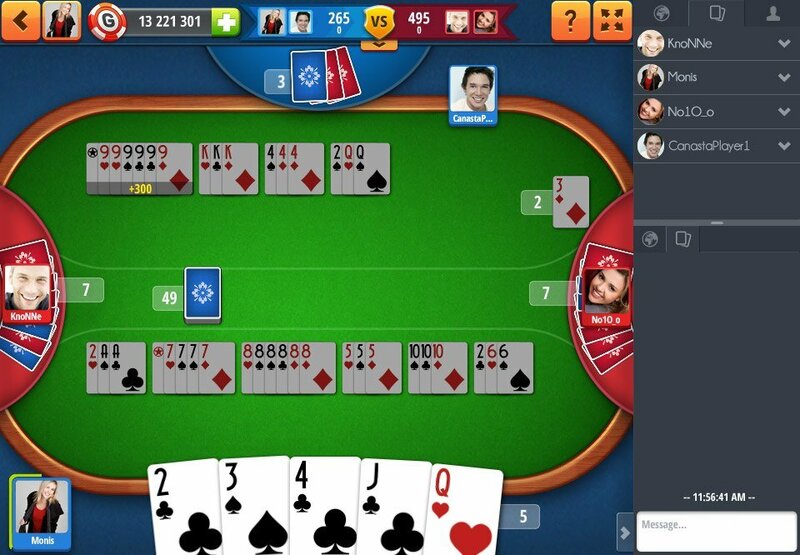 The game can be played with 2 or 4 players. Canasta in Spanish means "shopping basket" - which metaphorically refers to the object of the game, which is to collect cards of the same rank. Complete more canastas and get more points than your opponent. Face Canasta, discover the rules, go with the flow. Play with friends or with players from all around the world. 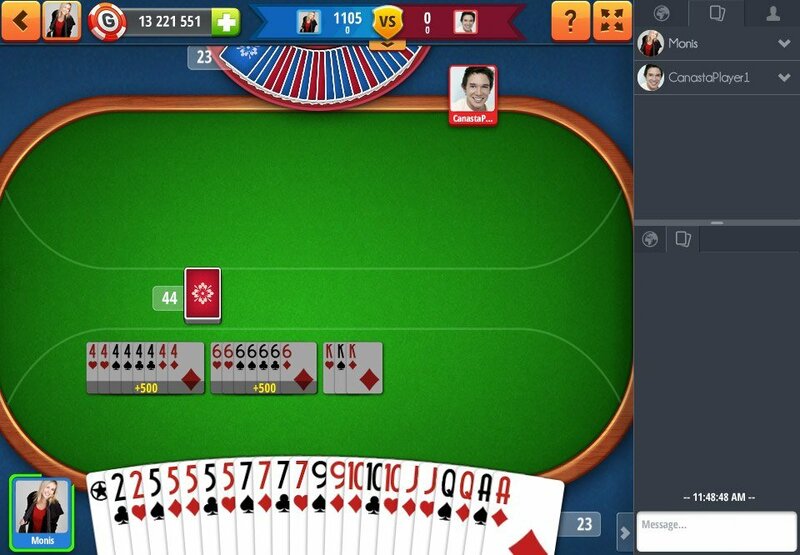 Let's cooperate with your partner to win the game.